When the Costume Institute at the Metropolitan Museum of Art debuts its latest exhibition, “China: Through the Looking Glass,” at its annual wingding on May 4, the event will be covered in orgiastic fashion by the global news media and treated by locals with the excitement country bumpkins once evinced when an elephant sauntered down Main Street with a sign announcing that the circus had come to town. At the Met Ball, there will predictably be found a passel of the usual celebrities dressed in the usual Barbie’s Dream Date frocks. There will be a paparazzi scrum and mobs of reporters and many of whatever the current term is for those who exist to stoke the social media maw. Surely, too, there will be at least one guest who has chosen to don a skirt (if he is a man) or a merry widow (if she is Madonna) or something equally calculated to appear “outrageous” or risqué. There will be a receiving line, because the protocol of these celebrations derives substantially from comic operetta by way of 1930s Hollywood. At the head of this receiving line will be the evening’s hostess, Anna Wintour, the Vogue editor after whom the space the institute occupies is now named. Alongside Ms. Wintour will be two of whoever happen to be the reigning movie stars of the moment and typically also two exceptionally deep-pocketed New Yorkers. And there will be someone else. This man — thin, tall and youthful at 48, his expression owlish behind heavy eyeglasses — will be wearing a boyish suit created by his partner, the designer Thom Browne. He will perhaps look shy and slightly out of place, although he is neither of these. 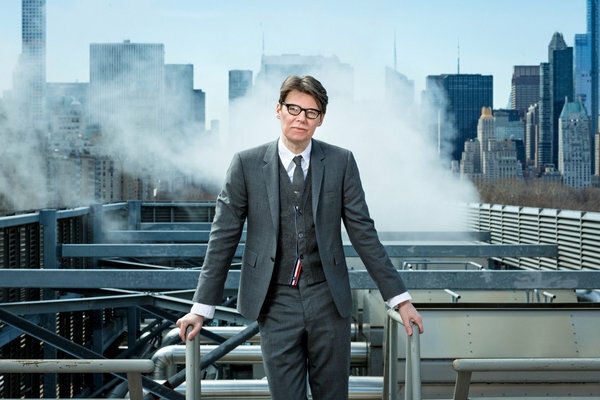 In most senses, the key figure at the Metropolitan Museum of Art’s annual gala will be Andrew Bolton, a curator there for the last 12 years and a man whose considerable professional accomplishments are almost completely belied by a public profile roughly equivalent to that of a registered C.P.A. Consider that, since coming to the Met from the Victoria & Albert Museum in London, Mr. Bolton has mounted record-setting blockbusters like “Alexander McQueen: Savage Beauty” (which 661,059 visitors lined up to see) as well as a series of conceptually challenging and intellectually sly exhibitions on aspects of fashion as diverse as punk rock; Elsa Schiaparelli and Miuccia Prada; the transgressive nature of British fashion; and superheroes as avatars of style. Stealthily, Mr. Bolton has not only shifted the wider public understanding of fashion and its meanings but has also brought a legitimate form of showmanship to an institution that, like a lot of others, relies on stepchild fashion to bolster the bottom line. “Curators provide the story,” the Hollywood costume designer Deborah Nadoolman Landis wrote by email. What, after all, could possibly be more boring, Ms. Landis added, than a bunch of dresses on mannequins? In keeping with Ms. Landis’s notion that Disney Imagineering has increasingly become a useful reference for museum curators, the framework of “China: Through the Looking Glass” is cinematic. Contemporary Chinese history is interpreted through costumes from movies as early as a silent film starring the tragic cult star Ruan Lingyu to hard-core Maoist agitprop. “The show is twice the size of anything we’ve done before,” Mr. Bolton said as a waiter set down a Gruyère soufflé, a dish that seldom fails to create astonishment through the application of simple chemistry to the most humble ingredients. Mr. Bolton at the Met has similarly managed to leaven our understanding of fashion without sacrificing its scholarly basis. It was essentially that contribution that moved the Vilcek Foundation to award him in February the $100,000 Vilcek Prize in Fashion, which honors contributions of foreign-born individuals to American culture. Like Mr. Bolton, the Vilceks are immigrants to the United States (from the former Czechoslovakia). Yet unlike them, he rarely thinks of himself as one.